We went to the Men’s Luge event in Whistler this past weekend to take in the festivities. 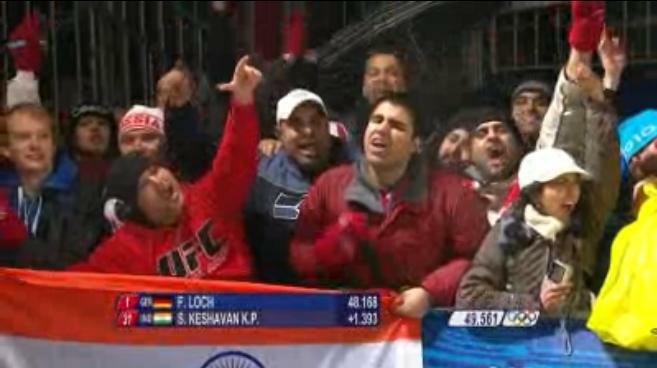 Indian luger Shiva Keshaven made a big splash with the local community. Team India first took notice with the issue of mismatched uniforms. Our group also made a big splash on a few networks around the world. Who’s the tall slender guy with umbrella? He’s my hero!